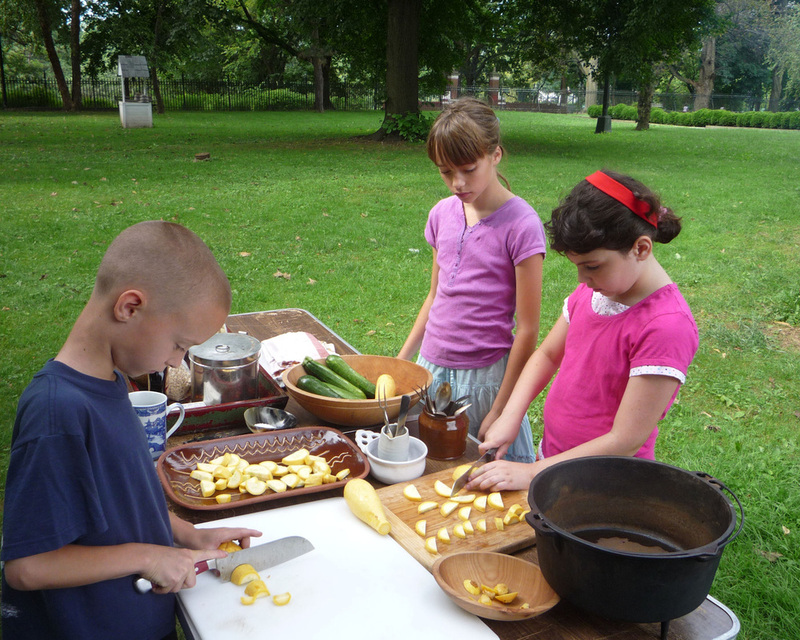 Summer Camp programs such as PAL, YM-YWHA, or other structured day camps may book one of our two educational offerings at Van Cortlandt House. 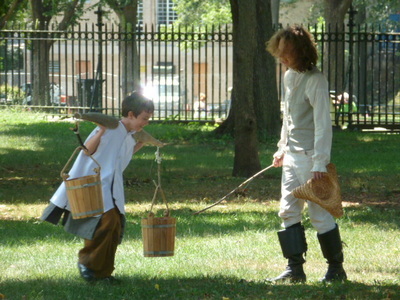 Both programs last approximately 1 – 1 ½ hours and are the perfect complement to other activities in Van Cortlandt Park, such as a tour with the Parks Rangers, an afternoon of games or a picnic. 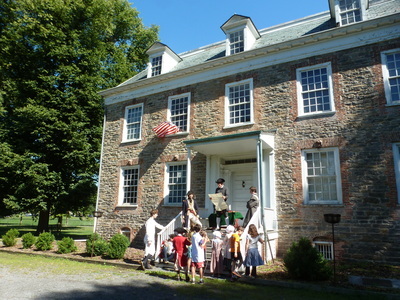 The program includes a tour of Van Cortlandt House, along with activities that will entertain and engage campers. 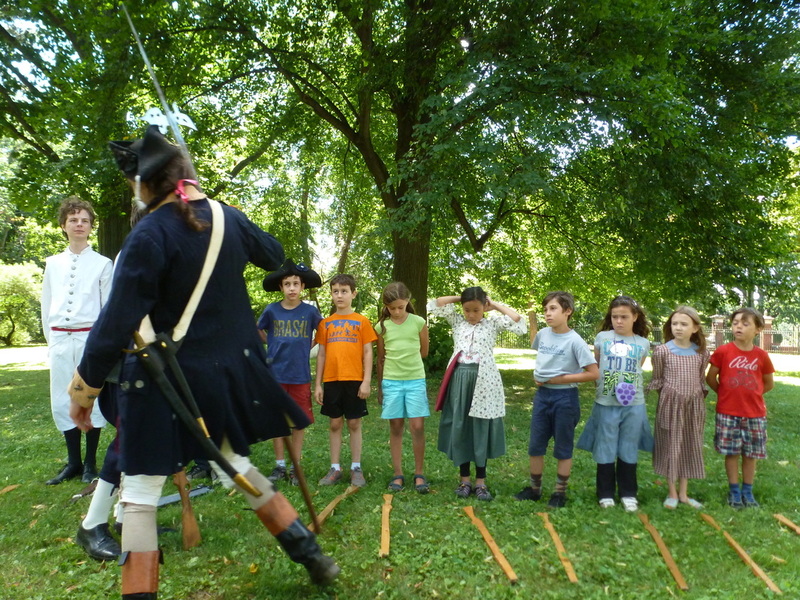 The Life of a Soldier allows campers to experience life in the Continental Army under General George Washington. Growing Up in Little Yonkers presents a glimpse into the daily life of children growing up in The Bronx, which was, in fact, Yonkers during the 18th century. Activities are held outdoors whenever possible and inside in the event of rain. Admission for Summer Camp Group programs is $5.00 per person, including counselors and chaperones who are planning to participate in the program. We reserve the right to limit group size, to insure the preservation of our Museum House. 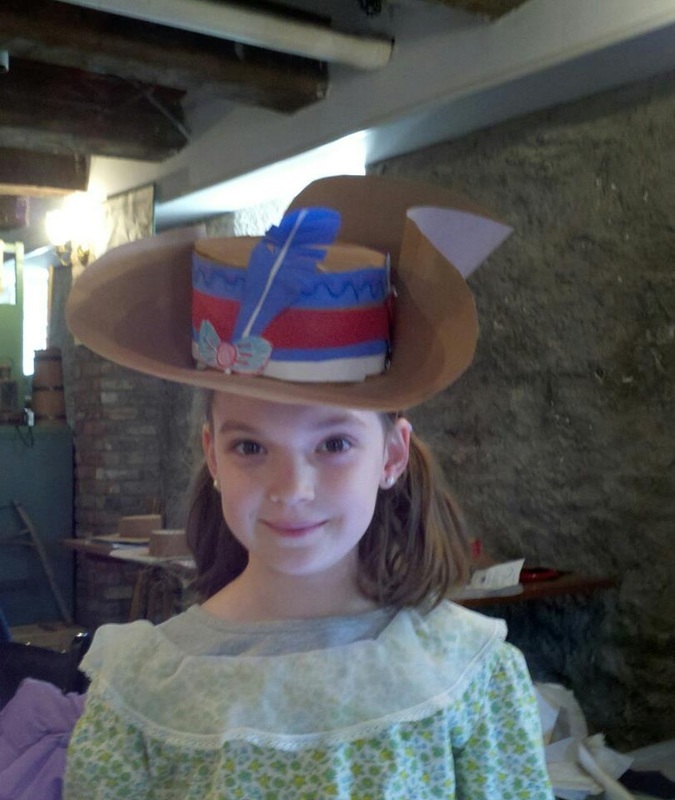 To book a summer camp tour contact our Museum Educator. 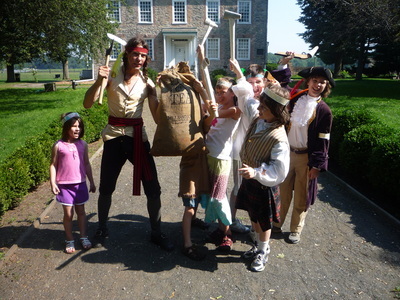 Van Cortlandt House Museum offers two one-week sessions of our Adventures in Time Summer History Camp each August. Named the top Summer History Camp in The Bronx by the Daily News, Adventures in Time Summer History Camp celebrates its first decade this year. 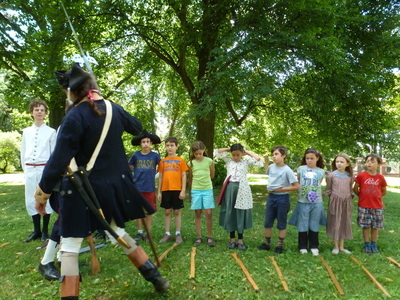 Campers spend a week immersed in the 18th century, participating actively in role-playing, games, fishing, cooking, and other activities which both entertain and educate. Van Cortlandt House, and the real history that happened here, are the focal points for Adventures in Time, and all activities take place at the House or within the confines of Van Cortlandt Park. History camp is open to children who have completed first through sixth grade (or the equivalent) in the spring preceding camp. Camp runs daily from 9:00 a.m. to 3:00 p.m.; all supplies and a daily snack will be provided. Registration and enrollment are limited to no more than 15 children per session. Discounts apply for campers attending more than one week, and for siblings. For more information or to register contact our Museum Educator. Based on the popular Adventures in Time Summer History Camp, Van Cortlandt House Museum now offers three-day mini-camp sessions during selected public school holidays. For more information contact the Museum Educator.